With Hurrican Irene making her way up the coast, I had to clean up the craft cave alittle incase we needed to use it as shelter. So I had to make a few cards that have been lingering... for whatever reason. I had some flowers cut up and made, which paired great with this DSP! Then I just needed to search down some sentiments and put it all together! 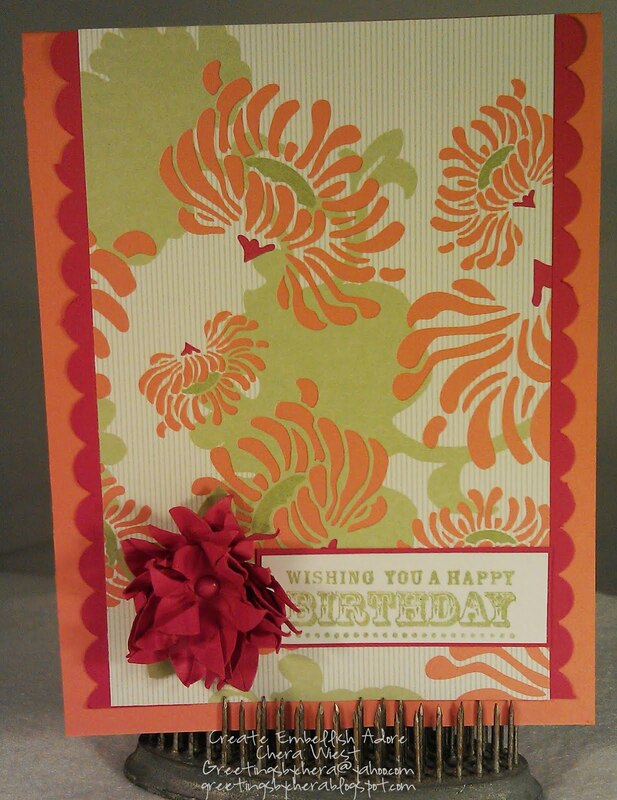 I think its a fun and bright card. We did lose power, a few trees down- but most of was the quality time we had with each other... however if I do not have to play another board game within the next two years I will be ok with that! 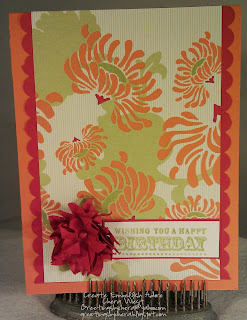 I love that you just added a sentiment and the flower, very pretty!